How Will Supercars 2018 Rookie Drivers Fare? Last year there were only two rookies in the Supercars championship. Simona de Silvestro and Alex Rullo. With 17-year-old Rullo sorely lacking in experience, de Silvestro won the rookie of the year award with ease. This year there are four. Richie Stanaway, James Golding, Anton de Pasquale, Jack LeBrocq and Todd Hazelwood. The super licence system introduced at the start of last year means that the standard of rookie drivers has improved, but some will still have an easier time than others. Richie Stanaway is the best-placed rookie coming into 2017. 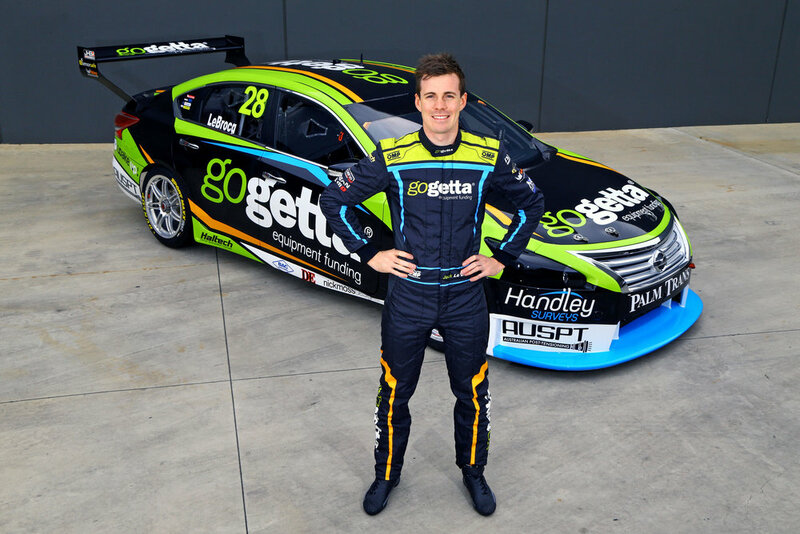 He joins Tickford Racing alongside Mark Winterbottom, a former champion and Bathurst winner, Bathurst winner and reigning Enduro Cup champion Chaz Mostert, and last year’s Sandown 500 winner Cameron Waters. Stanaway has two of the best drivers in the championship to learn from, and a team that can provide him with a race winning car. Stanaway himself is also very talented. He achieved a clean sweep In his first and only Super2 round at Sydney Motorsport Park last year, and won Sandown alongside Waters. Stanaway has spent the past few years in racing in GP3 and GP2, and in the World Endurance Championship in the factory Aston Martin GTE team. Most Supercars drivers come up through Australian Formula Ford and Super2, some spend a season or two in British Formula Ford. Stanaway’s pre-Supercars career is equalled in the current crop by only James Courtney and Simona de Silvestro. As impressive as his feats in a Supercar have been so far, we’ve only seen him compete as a co-driver, sharing track time with other co-drivers. Across the full season, Stanaway will sit at the bottom of the Tickford pecking order. He might win a race, he might win as many as Winterbottom does. But he’ll also spend a lot of time a long way outside the top 10. Erebus Motorsport has been through quite a few drivers in their second car sine Lee Holdsworth left at the end of 2014. They've all been pay drivers brought in to make up for the team's funding shortfall. Anton de Pasquale is the best driver to occupy that car since Holdsworth. Paul Morris has described his signing is Erebus' Jamie Whincup moment. De Pasquale finished fourth in last years Super2 series with Paul Morris Motorsport, while also competing with PMM in the Khumo V8 Touring Car Series. De Pasquale is unique among this year's rookies in that he hasn't had an enduro drive before, but he has raced at Sandown and Bathurst in Super2. De Pasquale joins a team on the rise, looking to improve its team's championship position. With de Pasquale alonsgide David Reynolds, they might not just pass Garry Rogers Motorsport, but the second Tickford pairing of Stanaway and Waters to claim fourth. James Golding has been waiting a while now to step up to GRM’s championship series team as a full-time driver. With James Moffat’s contract ending at the end of last year it was inevitable that GRM’s latest protege would be joining the championship this year. Golding sat out of Super2 last year, instead competing in the championship series as a wildcard entry at two rounds and alongside Garth Tander in the Enduro Cup. Golding has been with GRM since 2015, finishing 10th and fourth in his two attempts at Super2, and he has co-driven for Moffat and Tander. The last rookie driver GRM introduced to the championship was Scott McLaughlin. The team will be hoping for a repeat of McLaughlin's success, but without the leg-up that comes from starting with a new generation car, McLaughlin's results will be hard to match. A funding shortfall forced Tekno to let go of Will Davison in favour of rookie Jack LeBrocq, but LeBrocq is among the best of this year’s unusually long list of rookies. He was the 2012 Australian Formula Ford champion and finished in the top three of the Super2 series every year since 2015. Making LeBrocq’s transition easier, Tekno has Adrian Burgess on board as team manager, and a brand new Triple 8 Commodore. Burgess has delivered four drivers’ championships at two teams. As Tekno knows all too well, it’s hard for a single car team to improve across a weekend, even with an experienced driver. If you don’t roll out of the transporter setting front-running times, its very hard to improve your setup with only one car to work off. Add an inexperienced driver into the mix, and it gets even harder to find gains. Tekno will be able leverage off its close relationship with Triple 8, under the same data sharing arrangement they’ve had in past seasons. Without any actual teammates to learn from, sharing a garage with Craig Lowndes is the next best thing. After winning the 2017 Super2 series with Matt Stone Racing, Hazelwood is graduating to the championship series with MSR. MSR has bought two ex-Penske Falcons (one for Super2) and leased Jason Bright’s racing entitlement contract. Of all the rookies, Hazelwood is in for the toughest year. Yes, he's in an ex-Penske car, and he won the Super2 Series last year, so he has the car and talent. But the car will be run by a single car team that's new to the Championship series. New independent single car teams rarely succeed. Stanaway and Golding have championship and Bathurst winning team mates to learn from. Penske isn’t providing any ongoing technical support, so Hazelwood really is on his own. In this sort of environment, it will be difficult for Hazelwood to be a consistent top 15 finisher. One thing Hazelwood has going for him is that he has a lower likelihood of falling victim to double-stacking. He will share a pit bay with Tim Blanchard, a more beatable driver than Lowndes, Waters or Tander. For the first time last year, Supercars allowed wildcard entries in selected championship rounds. Golding and LeBrocq competed in two rounds each with GRM and MW Motorsport, respectively, and Hazelwood one round with MSR. All three participated in round eight at Queensland Raceway, where Hazelwood achieved the highest placing of 18th in the Sunday race. LeBrocq beat both Hazelwood and Golding on Saturday, bringing his Altima home in 19th, but didn’t finish on Sunday. Golding placed 16th and 25th at Winton, while LeBrocq was 19th and 22nd at Hidden Valley. These are the sort of results we can expect from the four rookies early in season. The Adelaide street circuit will be a difficult introduction to the main game, especially for Stanaway, who has never raced there in any category. It’s unlikely that all four drivers will finish both races there. After Adelaide and the Melbourne GP support race (where none of them have raced) things will get easier, with a string of sprint rounds on permanent circuits. It’s in this middle section of the year that one of the rookies is most likely to win a race. Stanaway would be the most likely to do it. Their first Enduro Cup as lead drivers isn’t going to be brilliant, but they will all come into these three rounds with prior experience at Sandown and Bathurst. De Pasquale is the only one to have never raced at the Gold Coast. The only confirmed co-driver here is Jonothan Webb with LBrocq. Hazelwood might be lucky and get Jason Bright. Tickford has signed James Moffat, David Russell, Dean Canto and Steve Owen this year but hasn’t confirmed any pairings. Given Stanaway’s place in the Tickford hierarchy, he’s not getting Moffat or Owen, but at least he will have someone with experience. Hazelwood and Bright or Stanaway and Russell could, under the right circumstances, deliver a good result. In 2016, Waters and LeBrocq, the youngest, most inexperienced driver combination in the race, finished fourth at Bathurst in their Prodrive Falcon, so almost anything’s possible. That bodes well for Golding, who could be sharing a car with GRM Super2 driver Mason Barbera. In 2018, we won't see a repeat of 2013, where McLaughlin and Mostert were running near the front and winnng races semi-regularly. They had the advantage of starting in the year that the new generation cars were introduced. Maybe one or two rookies will win a race or two this year, and there's a good chance one will grab a pole position somewhere. But mostly, just finishing inside the top 15 of the championship will be a huge achievement for any of them.